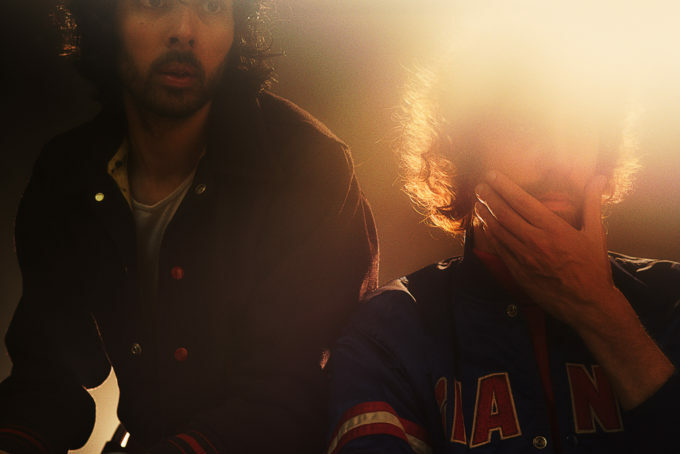 Yep, the new Justice video is ‘Fire’. Quite literally. And they’ve roped in a high profile Hollywood A-lister to star. It opens in a burst of sparks and a pop of those deliciously French disco-infused synths we love so much. We see the boys pushing their decidedly ’80s ride, all dusty, from its long-term housing. Off-site, the sparks subside – the angle grinding complete – and said person working the machinery is ready to clock off. On-site, the boys set about washing the car to get it back to looking its road-going best. Turns out the person doing the angle-grinding was none other than Susan Sarandon, who looks in-credible. She and the boys then hop in their shiny ride and hit the freeway.